This copy and photo is taken from the original article published on ventureburn.com. See here for the full article. The Technology Innovation Agency (TIA) last week Friday (11 January) announced the winners of the 2018 Global Cleantech Innovation Programme for small and medium-sized enterprises in South Africa (GCIP-SA) at a gala event held at the Cape Town International Convention Centre. The programme aims to encourage local innovation in energy efficiency, green buildings, renewable energy, waste beneficiation, water efficiency and green transport. GCIP-SA is implemented by the United Nations Industrial Development Organisation (Unido) and US-based cleantech accelerator Cleantech Open with funding from the Global Environment Facility (Gef). The business accelerator programme ran over four months with a total of 44 participants being coached and mentored to fine-tune their products and services and get them investment-ready. In a statement today (14 January), TIA said the value of the investment in each participant is estimated at R140 000. Prior to the gala event, 21 finalists selected across cleantech, bioprocessing and medical devices categories pitched their solutions at tech workshops held in Cape Town last Thursday (10 January). Cleantech category: AET Fuels, Cane Trash Burner Fundis, CSIR- MMM, Eco Invader Solutions, ECT Hydro Solutions, Inseco, iWater, Lusec Sanitation Solutions, and Tshepang. Bioprocessing category: Afrobodies, Igugu Labantu, Get2Natural Beauty, Lactease, Sawubona Mycelium, and Zanzaba. Medical devices category: Easy Squeezy, Generic Research and Innovative Diagnostics, PRD Logical Solutions, SA Rebuilders, SHAPE and Zibipen. Cape Town based multi-medical device development startup Impulse Biomed’s Easy Squeezy solution scored the company the most promising youth-led team prize as well as the medical devices category award. In addition Impulse Biomedical’s Zibipen solution was also placed runners-up in the same category, along with Genetic Research and Innovative Diagnostics. The social impact award in the medical devices category was awarded to PRD Logical Solutions while the best women-led team was SA Rebuilders. Inseco –a Cape Town based animal-feeds startup that develops sustainable high-protein, insect-based animal feeds made through the beneficiation and conversion of organic waste streams — was crowned the overall winner in the cleantech category. In addition the startup also won the award for the best-youth led team in the cleantech category. Cleantech category runner-up, Bloemfontein-based environmental compliance company iWater Solutions won the award for the best women-led team. Durban-based Cane Trash Burner was also announced as the runners-up in the category while Lusec Sanitation Solutions was awarded the social impact award. 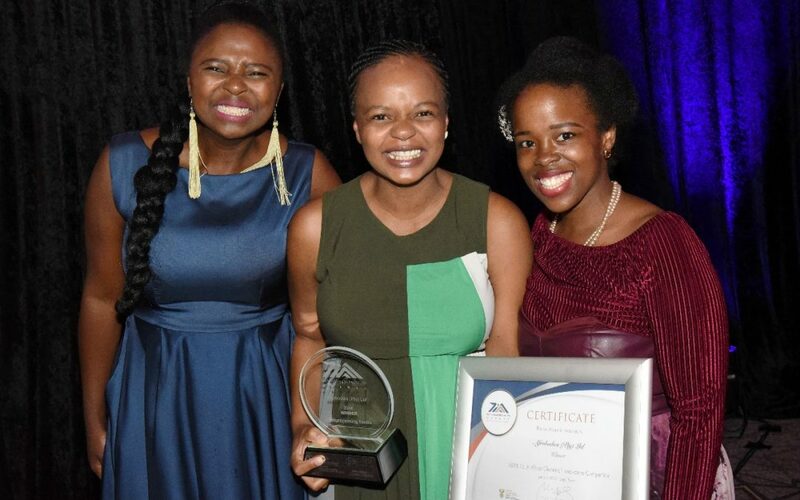 Afrobodies, a Cape Town based biotech company that produces recombinant alpaca antibodies, won the bioprocessing category along with the award for the best women-led team in the same category. The bioprocessing category runner-up, KwaZulu Natal based company Lactease bagged two other awards, namely best social impact innovation and best youth-led team. This while Durban-based natural cosmetics company Get2Natural was also placed as a runner-up in the same category. In a statement today (14 January) TIA said each of the three overall winners received a cash prize of R120 000, as well as an overseas trip to explore markets for their products. The runners-up each received R60 000 in cash and an overseas trip, while special category winners — including the best women-led teams, most promising youth-led teams and innovation for social impact — each received R30 000. Missed the awards? You can watch a stream of the gala event here.